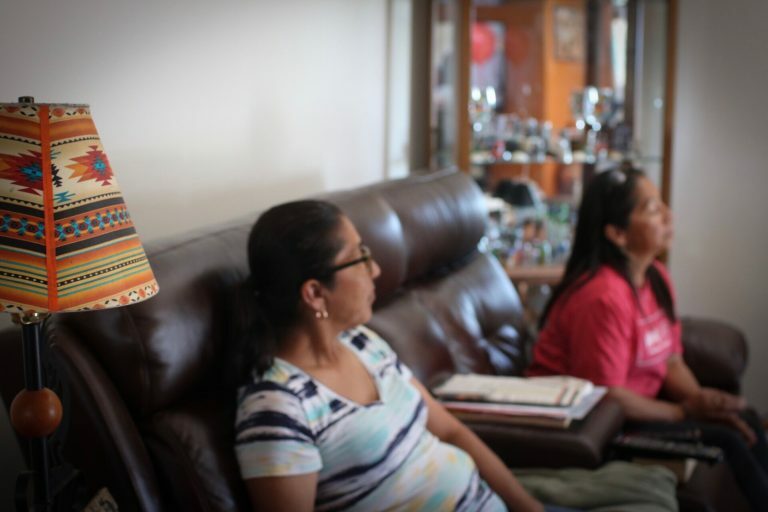 Connie and her sister, Juanita, learned to make tamales when they were young girls in their grandmother’s kitchen. They never thought this family tradition would one day impact the lives of kids in Lincoln. City Impact has been part of Connie’s life for several years. She is a resident of City Impact Homes, and has served for three years on the program staff team helping weekly with City Impact Kids. Her heart for one-on-one relationships with kids shines through in everything Connie does. Every June, City Impact kids head off to camp for a week. Kids Across America Camp is a Christian summer camp that encourages and equips youth to live for Jesus and influence their communities. Camp is the highlight of the summer for City Impact kids, providing a safe and loving environment of adventure and excitement! Kids are transformed by camp, coming home feeling supported and empowered to seek Jesus and love people well. A few years ago, Connie went to camp herself. “It was an amazing experience. I was completely out of my comfort zone, learning about God and going on adventures. If it was that amazing for me as an adult, think about how important it is for our kids?” she said. Every summer during camp week, Connie’s neighborhood changes from the usual hub of activity, bare feet on the pavement, laughter, and popsicle parties to an empty and unfamiliar calm. Last year during camp, Connie noticed a pair of neighborhood girls playing near her home. She asked them why they weren’t at camp, and the sisters’ embarrassed response was that their parents couldn’t afford to send them. So, they were playing on their own at home while their friends made memories at camp. “It was then that I swore to myself I would sponsor these two girls and get them to camp next year,” Connie said. A few months ago, Connie was talking to her sister, Juanita, about a plan to get her young friends to camp. Just a minute into the conversation, Juanita walked out of the room returning a moment later with a handful of cash. “How many children can I sponsor with this?” Juanita asked, smiling. When Connie told the two girls they were going to camp this year, they were stunned. Tears welled up, “Their jaws dropped, and they wrapped me in the biggest hug!” said Connie. Connie and Juanita were thrilled to help more kids get to camp, and they were eager to find additional ways to support that effort. Since camp is located in Missouri, the kids take a large rented bus down and back. City Impact’s “Ride That Bus” fundraising campaign invites camp kids and the community at large to help raise money for the bus. Juanita wanted to help and hatched a plan to share her grandmother’s tradition of tamale making to support getting kids to camp. 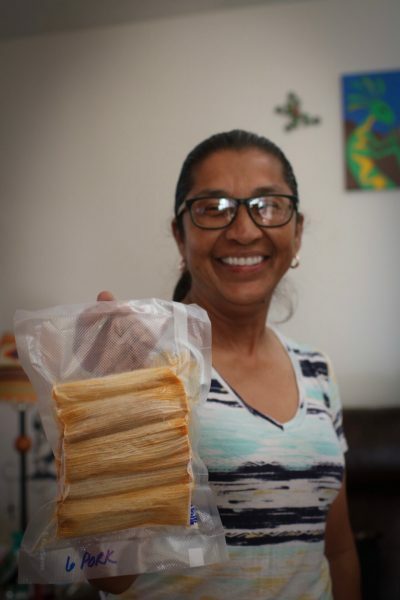 She gathered ingredients and got the word out to sell tamales, promising all of the proceeds to “Ride That Bus”. “Camp is so important. It gives the kids a way to connect with their peers,” Juanita smiled. 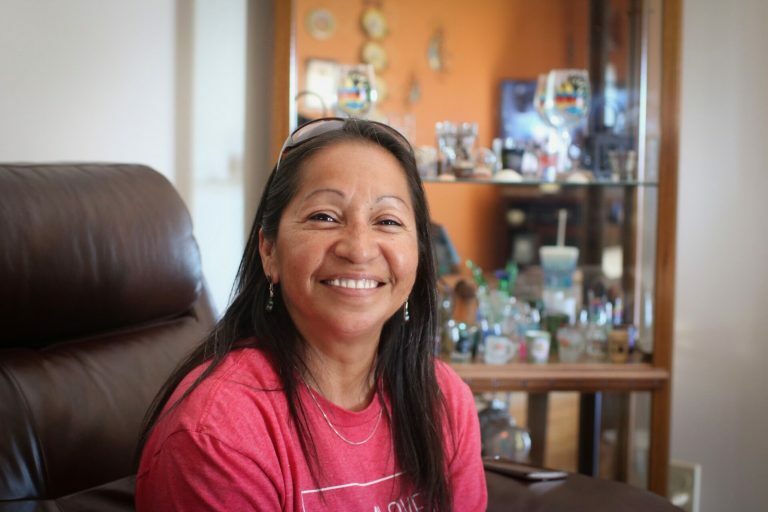 To date, the sisters have totaled ten hours of cooking, 20 dozen tamales, and $305 donated to “Ride That Bus”, and Juanita is still eager to help. “Do you think I can go to camp with you guys next year?” Juanita laughed. Connie’s involvement at City Impact and genuine affection for the kids inspired her sister to be part of this transforming work. Juanita’s generous spirit led to five more kids experiencing camp this year. The two sisters combined effort is now helping to meet an essential transportation need for all of the kids going to camp. This is the amazing ripple effect we talk about so often at City Impact. An investment of sacrifice and love blesses one person, who is inspired to contribute to that work, which impacts future generations. Thank you Connie and Juanita for your compassionate support of our kids! Transformation happens one act of kindness at a time.